Chagas disease is not commonly studied, but globally it affects six million people. Close to six million people are infected with Chagas disease each year; and it is estimated that twelve million die from not having received adequate medical treatment. In Colombia, there are at least 600,000 confirmed infected people, and 20% of the population is vulnerable to being infected. Chagas disease is a silent disease. This means that it ´disguises´ the symptoms until they have caused irreversible damage such as high blood pressure or diabetes. This tropical disease is transmitted in different ways, but the most common way is through being bitten by the pito: the insect that carries the Trypanosoma Cruzi parasite. Initial symptoms of Chagas can be confused with simple flu-like symptoms as they include fever, unwellness, and small red areas of the skin that disappear after a week. However, people may not develop further symptoms for ten years or more, during which time Chagas may have affected the heart and even led to death. Felipe Guhl, emeritus professor at the Universidad de los Andes and one of the biologists who has spent most time studying this pathology in the country states that, “the Chagas cardiomyopathy is chronic, slow-developing, and its symptoms take a long time to appear in adults; in children it is almost always fatal”. Although the main vector that transmits the disease is insects carrying the parasite, it can also be spread through blood transfusions, which means that its reach has spread to urban and non-tropical areas. 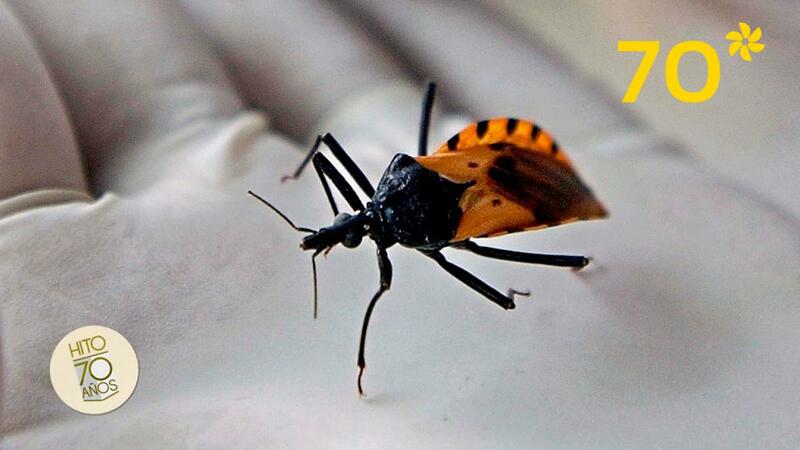 Chagas disease is dangerous not because it is a silent disease: this cannot be changed. It is dangerous because it is a forgotten disease: it is not a priority for the governments in any one of the 17 countries in South America inhabited by the pito. Guhl, director of the Center for Microbiology and Tropical Parasitology Research (Cimpat) explains that, “It is forgotten because it mainly affects people from low socio-economic levels: campesinos and people who live in huts and other poorly constructed homes”. The pito mainly lives in forested areas and thrives in wall-cracks and where domestic animals sleep. It can also hide and reproduce in fallen leaves and piles of rubbish. Chagas is a disease that is related to poverty; therefore, not many laboratories are interested in investing in producing a vaccine that will not generate sufficient economic return. Colombia is, however, one of the countries that has shown most interested in this disease. This is thanks to studies undertaken by the Universidad de los Andes starting in the 1970s through an agreement between the Government of Holland and the National Planning Department. This agreement gave rise to a partnership between the Royal Tropical Institute in Amsterdam and the Universidad de los Andes. In 1970, Cornelis Johannes Marinkelle founded the Microbiological and Parasitological Centre (MPC), which later became the Center for Microbiology and Tropical Parasitology Research (Cimpat). The creation of Cimpat led to advances both in the diagnosis and treatment of the disease in Colombia: in 1995, the Center and the National Health Institute undertook research with a significant sample of people to find out how many adults over the age of 18 had donated infected blood. The results found that in departments such as Norte de Santander, Santander, and Arauca 25% of donors had the disease. The figures led to the Ministry of Health issuing Decree 1738 of 1995, which established mandatory screening of all donors on a national level. Cimpat has also been involved with Chagas disease cooperation initiatives between Andean countries as it has hosted, for example, the 1997 Conference for Diseases Transmitted by Vectors in the Andean Area, which was organized by the Ministry of Health. Between 1999 and 2003, Cimpat, the Universidad Industrial de Santander, and the Colombian Institute of Tropical Medicine undertook a study of hamlets from fifteen departments to characterize homes, collect insects, and establish the number of people who are at risk of being affected. The result was a risk map that allowed the Chagas disease situation in the country to be characterized as well as how and where the vector insects are distributed and, most importantly, the risk of being infected. The research project, which was financed by the Ministry of Health, produced an epidemiological model for the government that can be used as a tool so that, as Guhl concluded, “the scarce resources for the control of this disease can be used rationally and effectively in the places that need it”.